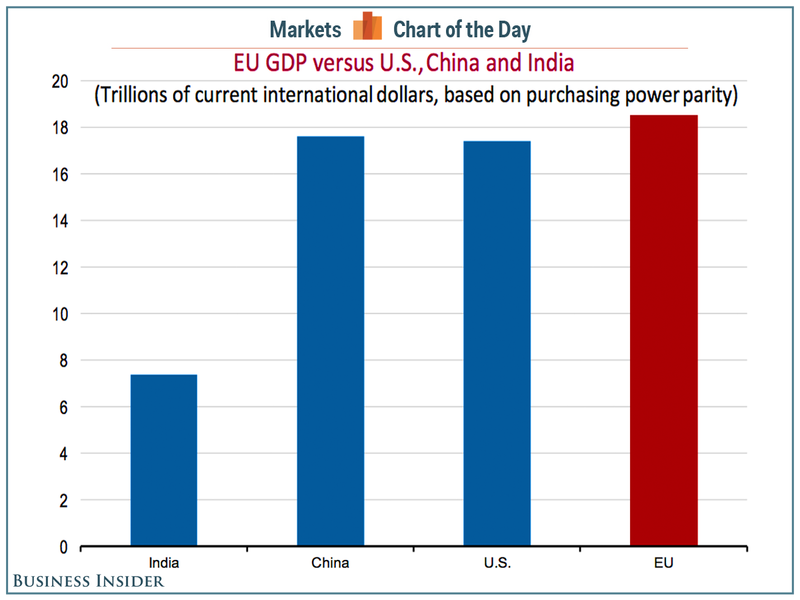 Europe remains in a continual state of flux. The UK is leaving the EU and facing an uncertain future. The EU must punish Britain. It cannot afford to let the UK succeed outside of the Union, or others may follow her through the “exit” door. Greece is finally coming out of years of serious economic troubles. Eastern European nations are at variance with Germany over immigration. Austria has a new conservative government that includes the right-wing Freedom Party. Always remember, when looking at Europe, that the turmoil the continent is now going through will lead to the fulfillment of the following prophecy. 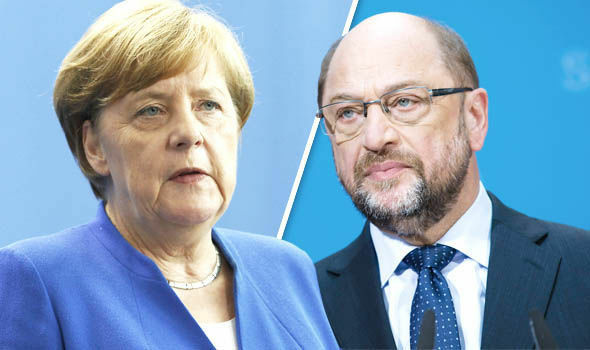 It looks as if Mrs. Merkel’s Christian Democratic Union (supposedly a conservative party) is going to be able to form a coalition with the left-of-center Social Democrats, led by Martin Schulz. This combination is referred to as a Grand Coalition, bringing two opposing parties together again. “One downside to the grand coalition is that it leaves the right-wing nationalist Alternative for Germany (AfD), which made a surprisingly strong showing in September’s polls, as the largest opposition party, giving it a number of advantages including public funding and leadership roles in some parliamentary committees. The AfD, the closest thing to Nazis to win seats in the Bundestag since the actual Nazis, ran a racially inflected populist campaign that capitalized on widespread anxieties about the influx of refugees and migrants from the Muslim Middle East, which the AfD said were threatening both Germany’s national security and its national identity.” (“Germany’s political turmoil is bad news for Europe,” Jonah Shepp, New York magazine, 1/16/18). “Part of Merkel’s problem is that she represents a waning generation of political leadership whose preference for moderation and incremental progress is being rejected in favor of bold new ideas on both the right and the left. German voters flocked to smaller parties in September, particularly the AfD and FDP, while the Greens and the Left made gains among younger voters. “Younger members of Merkel’s own conservative party have been urging her step aside, while a rising generation of leaders is waiting in the wings to succeed her. The most talked-about potential successor is 37-year-old Jens Spahn, an openly gay man who has criticized Merkel from the right on immigration issues. Another name that comes up is Ursula von der Leyen, the current defense minister, whose positions are more liberal. The composition of the new coalition means there will be fireworks ahead as each party wants different things. It’s not likely the government can stay together very long. That also means Mrs. Merkel’s future is uncertain and will be short-lived. She has been Chancellor for over twelve years. Change is likely not far off. “At the beginning of December, in a keynote address to the Körber Foundation in Berlin, Social Democrat Sigmar Gabriel demanded that after seven decades of relative foreign policy restraint, Germany return to an independent foreign and military policy – supported by a militarized European Union under German leadership. “Now we realize that even with great economic prosperity in our country there is no comfortable place on the side-lines of international politics for us anymore. Neither for us Germans nor for us Europeans,” he declared provocatively. “Significantly, the SWP, which is close to the government, has once again submitted a paper titled “Dissolution or Replacement? The International Order in Transition,” which openly makes the case for the establishment of a new world order under German-European leadership. Above all, it considers China and the US, with or without Trump, as international rivals. It’s a Grexit with a difference. 2018 should be the year Greece ends eight years of economic tutelage, closing a chapter on an extraordinary period in the EU’s financial crisis fight. August is the planned exit date and Greece’s Syriza government has been quietly crossing the t’s and dotting the i’s on its €86bn bailout ahead of the summer. In a familiar ritual, the Greek parliament this week passed its last mountain of sweeping reforms – touching everything from energy markets to trade unions – to unlock its latest dose of rescue money. 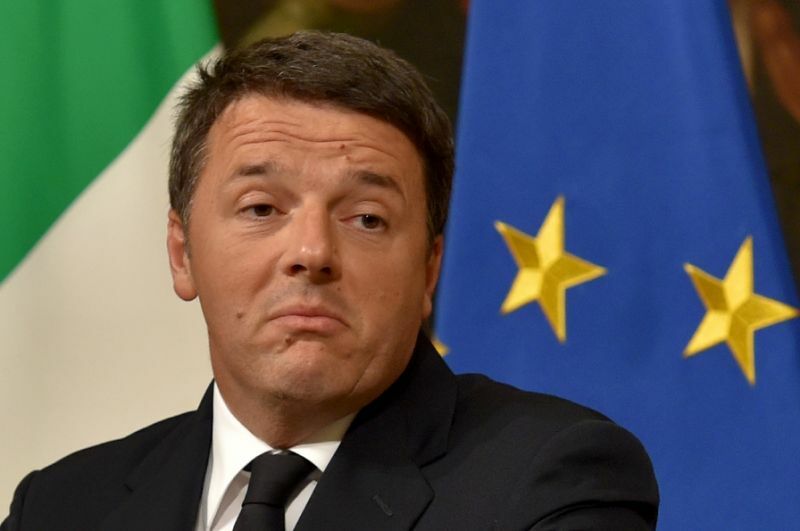 Eurozone finance ministers should sign off on the penultimate bailout review on Monday. Our youngest grandson, not even two yet, already knows a lot more than most politicians, judges and liberal intellectuals in the western world. Hayden has it down pat. He knows to go to either Mom or Grandma when he wants food or needs his diaper changed; he’s also learned, when he wants fun, that Dad or Grandpa are the go-to people. If a 20-month-old toddler can clearly distinguish gender roles, why can’t judges, politicians and lawyers? … Jesus called a little child to stand among them. “Truly I tell you, He said, “unless you change and become like little children, you will never enter the kingdom of heaven. Therefore, whoever humbles himself like this little child is the greatest in the kingdom of heaven. I took my wife and daughter to see a movie today. On the way there, our daughter was doing a crossword on her phone. She suddenly said: “I need a four lettered word.” I suggested she call the White House! It’s ironic that the bad word President Trump allegedly used to describe African countries and Haiti has some truth to it. We lived in Africa for over ten years. During that time, we hosted many western visitors, both black and white. The one thing everybody complained about was the toilet facilities – or, rather, the lack of them. Back to Trump’s expletive. Both Richard Nixon and his predecessor LBJ used a lot of bad language. I suspect every president has since, to one degree or another. Whenever I hear certain words, I am reminded of what my old English teacher said over fifty years ago. “People who use bad language have a limited vocabulary with which to express themselves!” There’s a lot of truth in that. Senator Jeff Flake (Arizona Republican) has compared President Trump to Josef Stalin. This kind of ignorance is appalling and dangerous. Trump has his problems, but he cannot be equated with Stalin, a dictator who killed millions of people in his own country. Millions more were sent to their deaths in the gulags. Additionally, ordering the murders of five of his top nine generals prior to World War II meant the country was almost defeated by the German army. The death toll from this alone was twenty million. Senator Flake should not be allowed back into Congress until he has read all three volumes of Alexander Solzhenitsyn’s “Gulag Archipelago.” This would give him a much better idea of Russia’s reality under Uncle Joe. Unfortunately, ignorance does not preclude entry into Congress! If anything, it helps. Dozens of mayors across Israel vowed on Tuesday to fight the country’s new law limiting commerce on Shabbat, saying they will not enforce it. The controversial “supermarkets bill” passed in the Knesset with a razor-thin majority of 58-57 on Tuesday morning. The law, an amendment to the Local Authorities Law’s provisions on the operation of local businesses on days of rest, gives the interior minister the power to shutter businesses that choose to remain open on Shabbat. During the past few weeks, Israeli municipalities have raced to bypass the looming supermarkets law, passing and bolstering bylaws allowing businesses to remain open on Shabbat. “The supermarkets bill is meaningless. It is up to the mayors to enforce it and I say in no uncertain terms that I have no intention of sending inspectors to enforce it,” Ramat Gan Mayor Yisrael Zinger said Tuesday. “We are a liberal city, and we believe in allowing people to live their lives according to their own beliefs. This is what creates the fabric of life in the city,” he said. Prior to the vote on the bill, Holon Mayor Moti Sasson pledged “to do everything within my power to preserve the status quo in the city, as part of which some businesses will be open on Shabbat for the benefit of the residents.” Givatayim Mayor Ran Kunik also announced he would not enforce the new law, telling reporters he is determined to preserve the status quo in his city. “Givatayim knows what’s best for its residents better than any minister,” he said.